North Island’s Executive Chef, Farrell Hirsch, brings a fresh take to dining on the Island with a new range of chef’s suggestions, designed to heal from the inside out. Driving a novel gastronomic experience in September and October as part of our Holistic Wellness Programme, Farrell has brought in Naul Shelton, a specialist chef who will be focused solely on holistic nutrition on North Island. There will be a strong focus on healthy, raw food, foraged ingredients and plant-based diets, components of which will feature in each of the food offerings across the Island, from the private pantry in the villa to fine-dining menus in the Piazza. From the moment you arrive, you will be greeted with fresh, light welcome snacks, bursting with flavour and energy to replenish yourself after travel. Naul will be dedicated to providing a private experience and will meet you with Farrell at your leisure in order to design bespoke menus during your stay. Naul will be available as a private chef, cooking in any of the many intimate dining venues across the Island. You also have the opportunity to learn how to cook from a holistic specialist who inspires awareness of a wholesome way of eating. 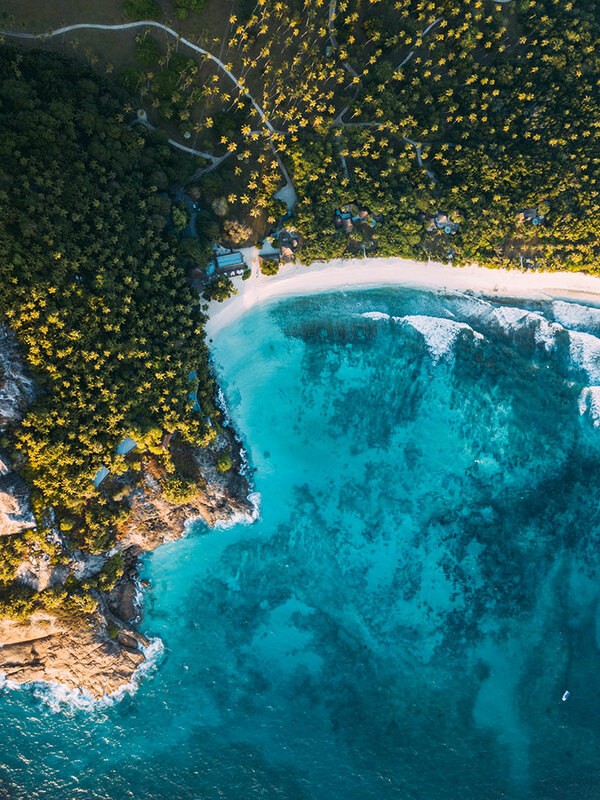 North Island’s cuisine is deeply connected to the spirit of the Island and menus will be inspired by the flavours of the Seychelles. The food will be rooted in fresh and seasonal organic produce that is grown on the Island itself. 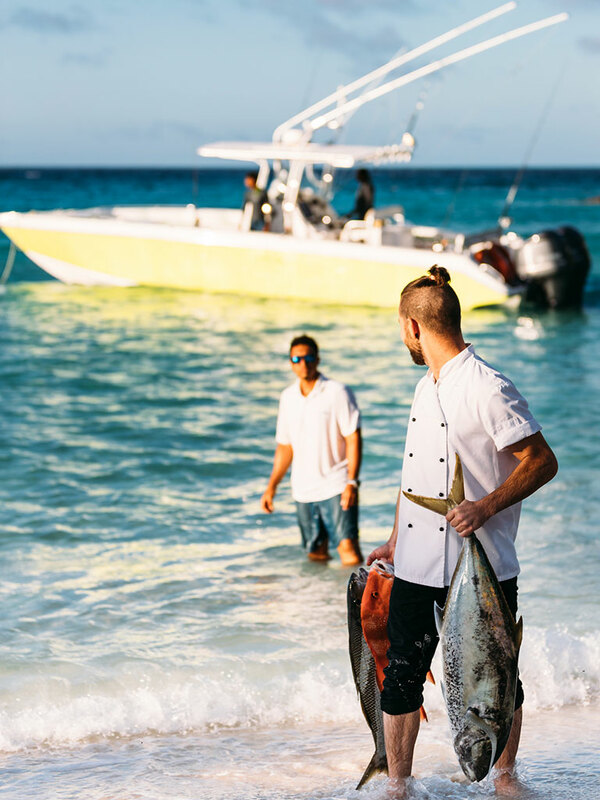 Chefs harvest fruits, vegetables and herbs from the North Island garden on a daily basis, along with fresh fish and seafood that they catch themselves. Catch your own and cook it on the beach with Naul over an open-fire. During September and October, you can join Naul while foraging the Island for tropical wild produce, from juicy citrus fruit to tiny sweet bananas. Watch fresh coconuts cut down from tall palm trees, and trunks peeled open, layer by layer, to reveal its delicate core – fresh palm heart. 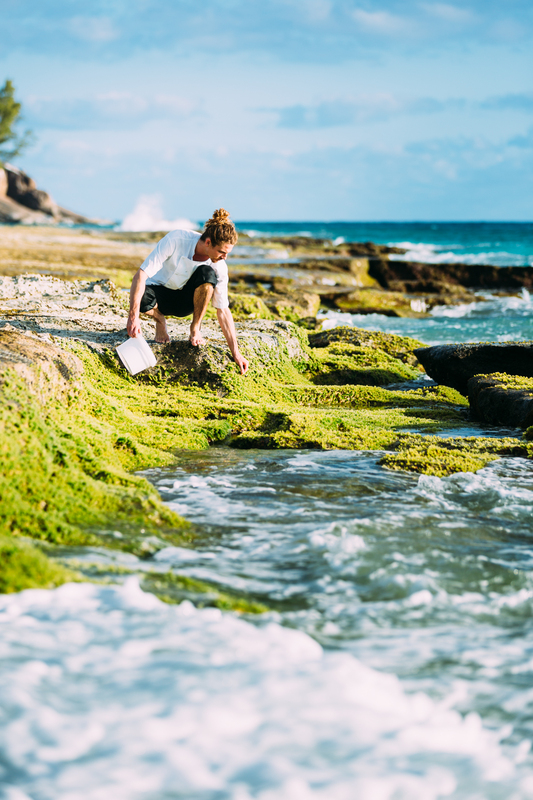 Having previously worked on the Island, Naul knows all of the secret spots for the best locally-grown ingredients, from the iron-rich spinach growing in the fresh water marshes to seaweed plucked from the shores of West Beach. Lemongrass is picked from the Island for your iced tea, and zesty wild oranges and granadillas feature in signature cocktails. Bartenders will be at the ready to prepare bespoke super-food smoothies and fresh juices to complement yoga and fitness classes. 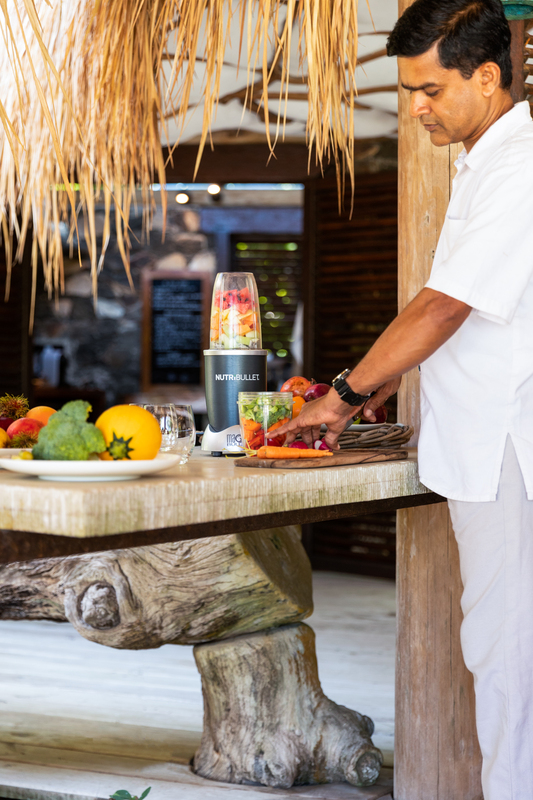 You will also find a NutriBullet® in their villa, allowing you to design your own drinks by extracting whole fruits and vegetables, completely breaking down ingredients into their most nutritious and absorptive state, to supercharge each day on North Island.